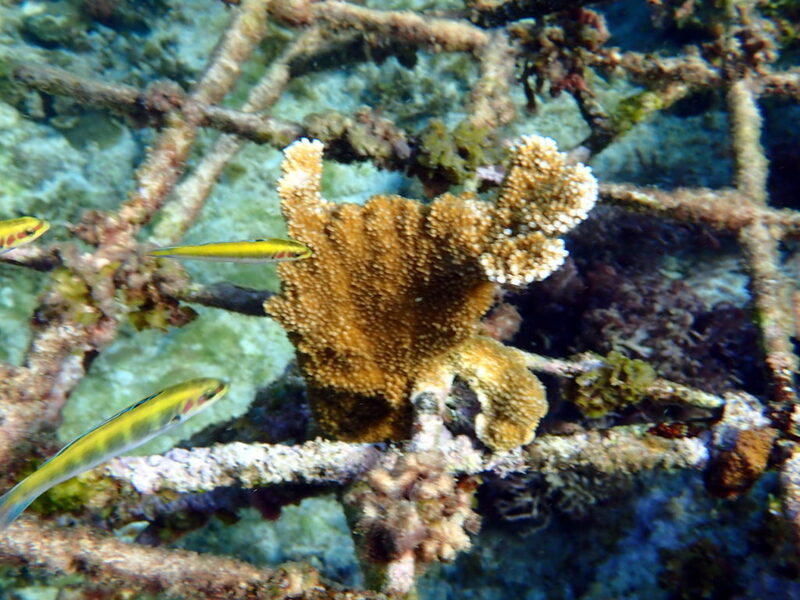 Elkhorn coral, Acropora palmata, was the most common coral in shallow Jamaican and Caribbean reefs in the early 1950s until the corals were killed from sewage pollution, global warming, soil erosion, and new diseases. Now it is locally extinct almost everywhere around Jamaica and the entire Caribbean, with only small surviving populations at isolated spots, and the species is regarded as severely endangered throughout its entire range. 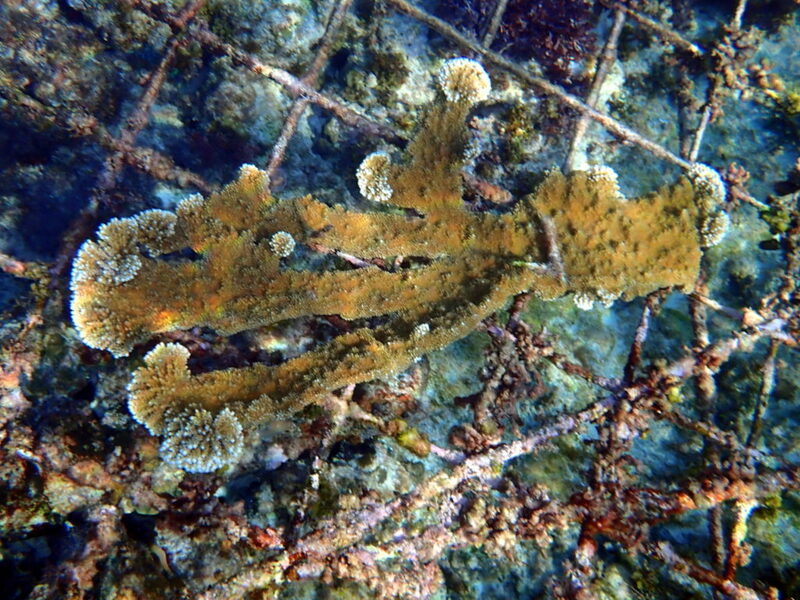 The Biorock™ electric reef restoration method was invented in Jamaica in the 1980s, and immediately found that elkhorn coral, staghorn corals, and all other local species of corals were growing on Biorock reefs at record rates even in locations where they would otherwise have died from poor water quality (T. J. Goreau & W. Hilbertz, Reef restoration using seawater electrolysis in Jamaica, 2012, in T. J. Goreau & R. K. Trench (Editors), Innovative Technologies for Marine Ecosystem Restoration, CRC Press). 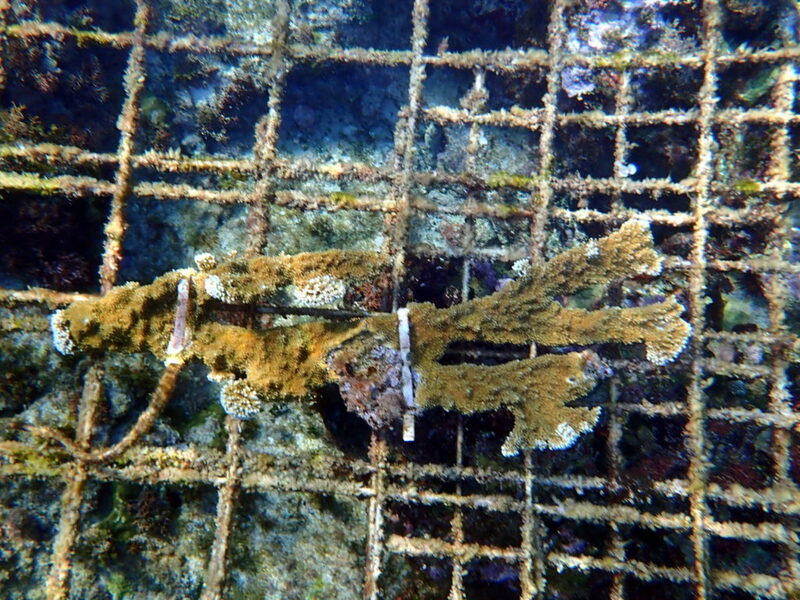 Biorock is again being used in Jamaica to grow a small elkhorn reef at a site that was once covered with vast elkhorn forests, and where now only a small handful of surviving small colonies remain. When these are broken naturally by storms, we rescue the small broken fragments, most of which die from rolling around on rocks and algae, transplant them onto the small Biorock reef, and grow them into large colonies. These photos show the prolific growth of these newly transplanted fragments. 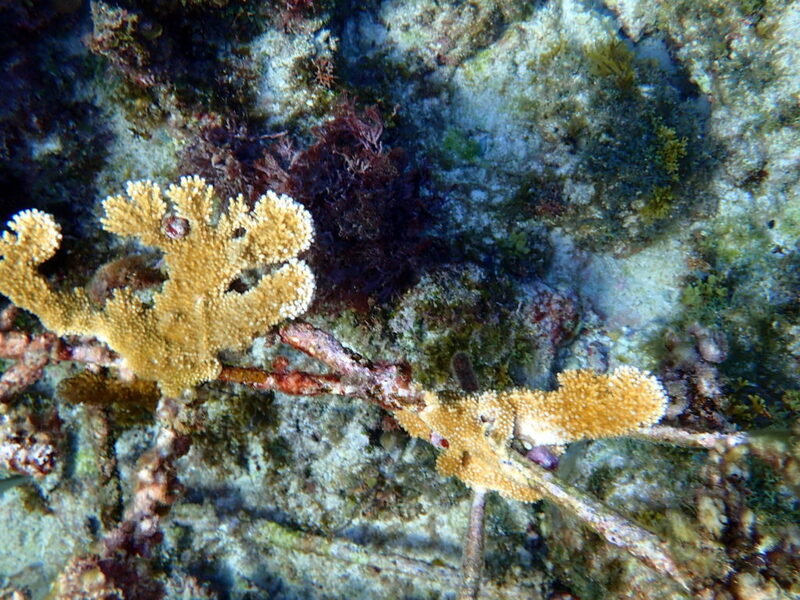 After a month or two there are large numbers of white areas which mark very rapid growth of coral polyps forming new branch tips, each of which will elongate into a separate branch. Some of these fragments are forming more than a dozen new branches. 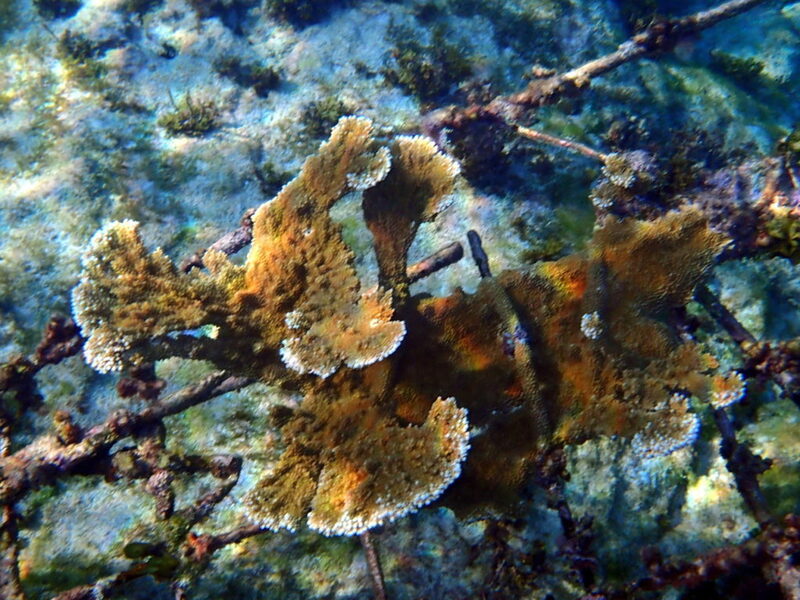 GCRA will post photographs of the growth of corals on the Biorock Elkhorn Coral Ark from time to time. 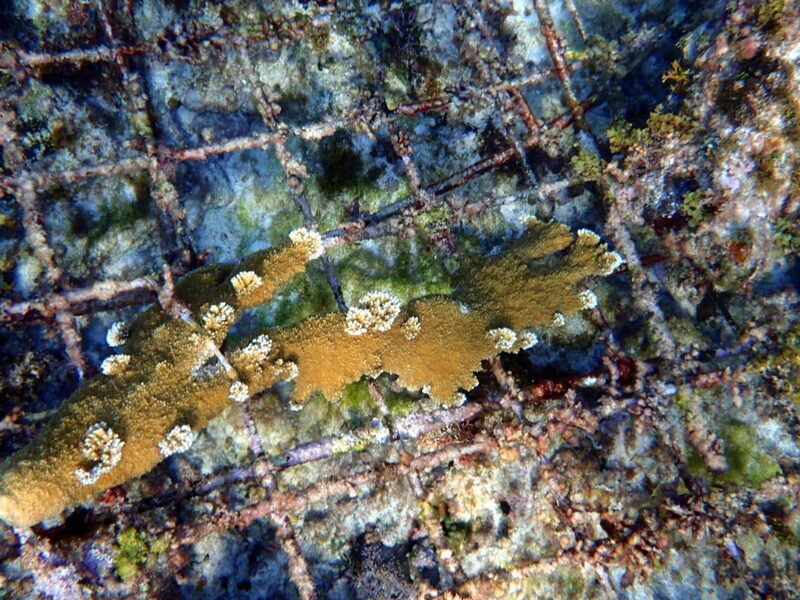 Besides Jamaica, Biorock Coral Arks™ are currently growing elkhorn, staghorn, and many other species of Caribbean coral in Panama, St. Barthelemy, Curaçao, and Grenada, and around half the world’s coral species at around 500 Biorock Arks in Indonesia. All photos below by Dan Brewer, January 11 2019.